Between all the holiday feasting and boozing, you're going to need some caffeine. 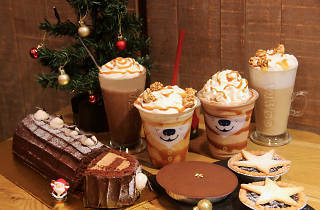 Costa Coffee keeps the festive mood up with its limited-time-only drinks (from $6.20) in flavours like Caramel Popcorn Latte, Caramel Fudge Chocolate Frostino, Caramel Popcorn Latte Frostino and Caramel Fudge Hot Chocolate. 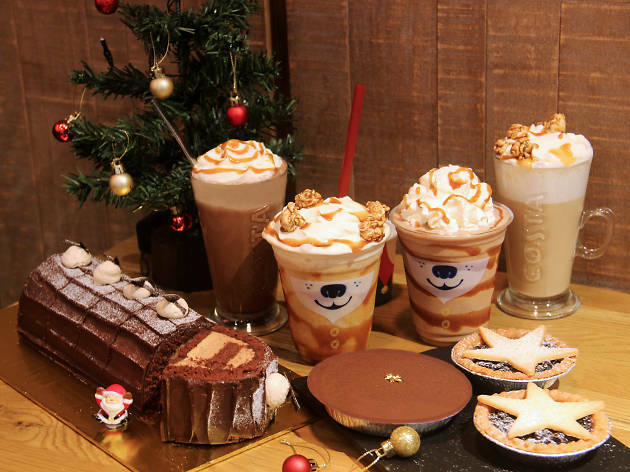 A special selection of Christmassy treats (from $2.90) have also been introduced to Costa's cafés islandwide – options include a sweet mince pie, chocolate-filled Billionaire Tart, and gingerbread men.